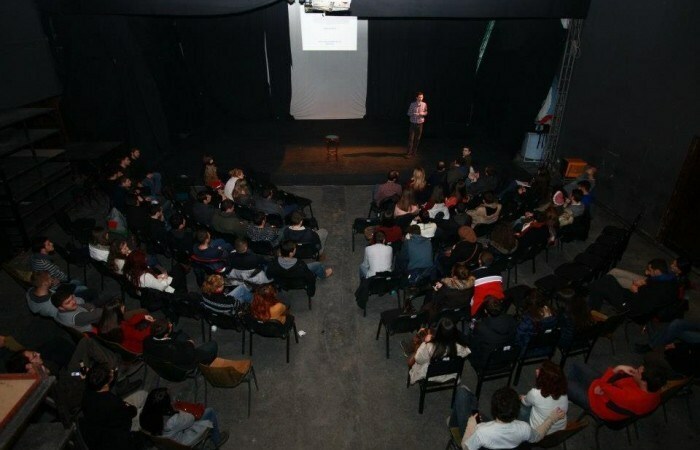 Arianit Dobroshi, Bernard Nikaj and Benjamin Murran were the key guest speakers on the 9th edition of Barcamp Prishtina. Inspirable speeches were those which made this organization one of the best of its kind that can easily be compared with TED conferences. More than 70 people attended this event which for the fourth time was held in the Oda Theatre. Professor at FIEK and Counselor at the Ministry of Trade and Finance, Bernard Nikaj separated his presentation in two different directions. In the first part, he talked about his involvement in Wikipedia and course projects. While the second part of his presentation was about the project of including entrepreneurship practical teaching in class. Speaking for that, Nikaj said that our education system is a little bit to be blamed because it is orientated to create worker, not people who are able to learn skills how to start a business and to hire others on their own. “We also encouraged students to give their contribution for Wikipedia to make it simpler and also to have a different experience from their lectures” Nikaj said, adding that it is important to write and promote the country online. Ex-EYE (Encouraging Young Entrepreneurs) partner and entrepreneur, Merran talked about entrepreneurship in general. He concentrated his presentation mostly on the emotional and personal side of things in order to engage more with people.